A local Facebook group dedicated to food has come together to feed others. The Jackson Foodies want to help furloughed Federal workers provide for themselves and their families during a historic government shutdown. Through Friday Sunday, donations of restaurant, grocery or gas gift cards in any amount can be dropped at Sal & Mookie’s, Broad Street and BRAVO! The aim is to distribute the cards to the impacted federal employees around the time those employees will miss their next pay period. 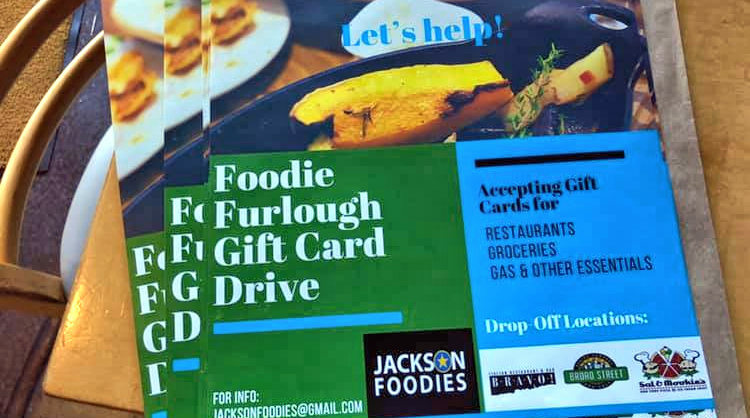 If you or someone you know is impacted by the shutdown and want to benefit from the gift card drive, contact Jackson Foodies at jacksonfoodies@gmail.com. Update: Over 300 federal workers have applied for the program. More gift card donations are needed. Gift cards for groceries and necessities are essential needs.